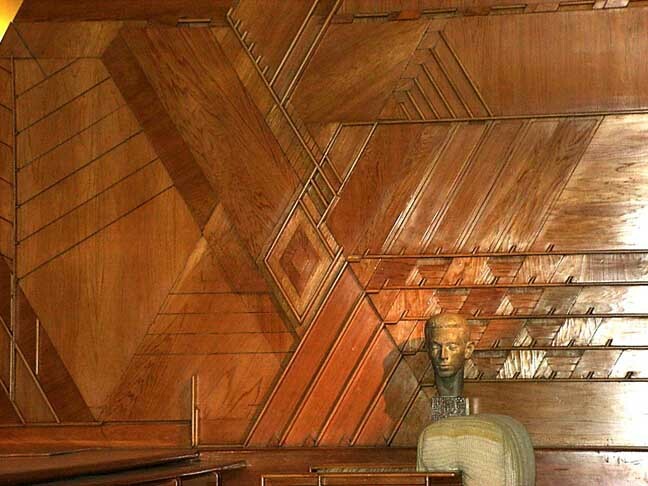 Finding wonderful examples of Frank Lloyd Wright’s furniture while traveling in London was a surprise. 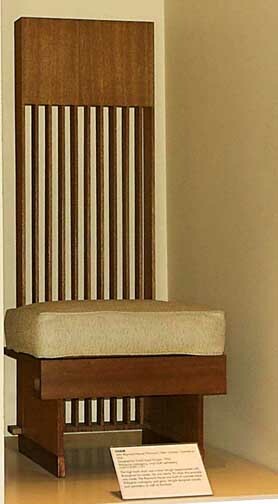 1955 high-back chair designed for John Rayward House (“Tiranna”), New Canaan, CT. Philippine mahogany, vinyl-cloth upholstery. The greatest surprise was that the museum had purchased this office whole and shipped and reconstructed it as an exhibit. The work was very fine, the lighting not so much. My husband thought they were attempting to preserve the color of the wood by limiting the level of lighting in the displays. It was a nice feeling of home for an architect abroad. 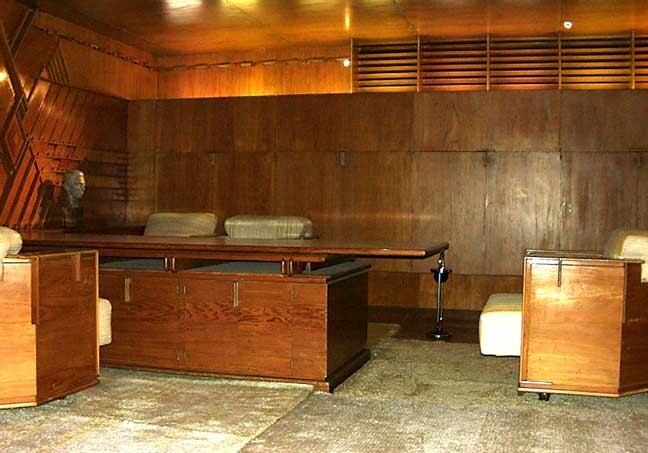 Frank Lloyd Wright designed this office for the owner of one of his most famous designs, Fallingwater, client & owner Edgar J. Kaufmann. 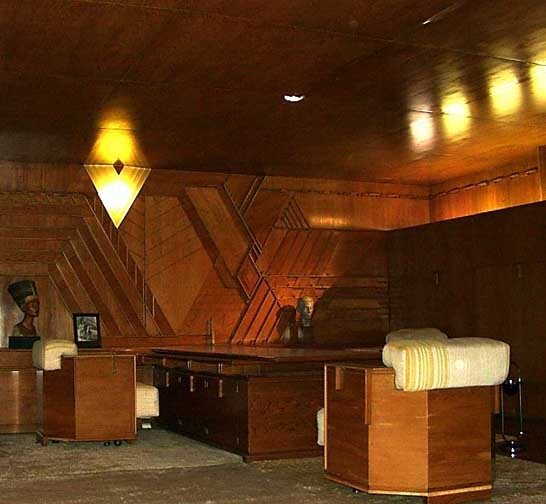 The Edgar J. Kaufmann office seating, desk area, wall paneling detail below. 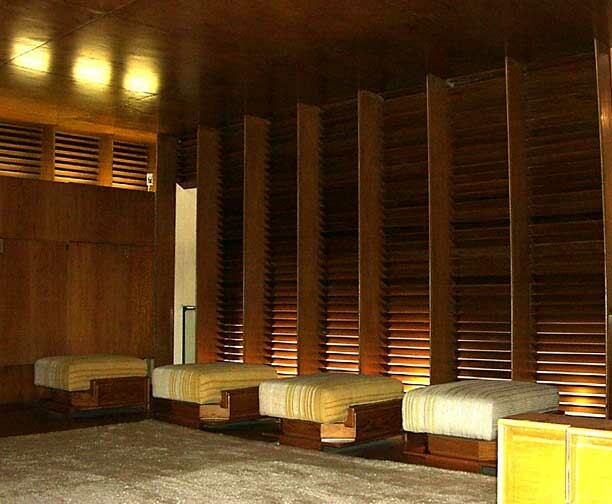 This office is now on public display as part of the Victoria and Albert Museum in England. 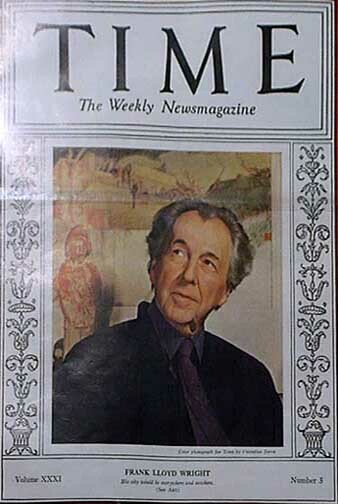 Cover of Time Magazine from the period from whence these designs were created. 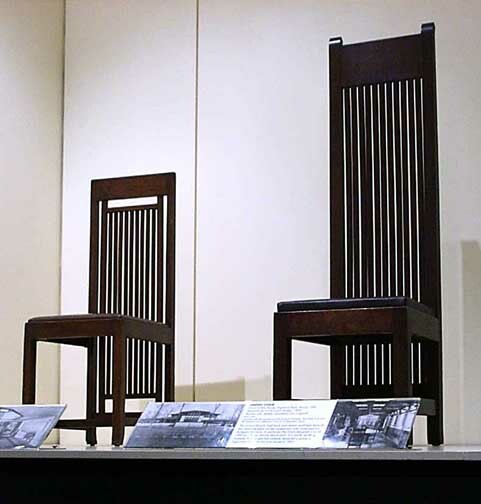 Merchant Prince & Master Builder, an article published in Inside Carnegie magazine (Carnegie Museum) which explores the relationship between Frank Lloyd Wright and his patron, Edgar J. Kauffman. Apparently, he was the owner of a department store in Pittsburgh, Pennsylvania. 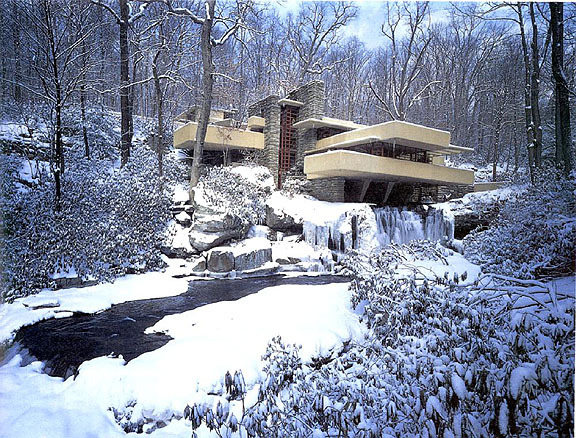 The office pictured above was a part of Fallingwater itself. For more information, and a few pictures of the Kaufmann family, including one of Kaufmann in the office itself: Explore PA History website. This last site is a good, concise single page post. This entry was posted in ARCHITECTURE. 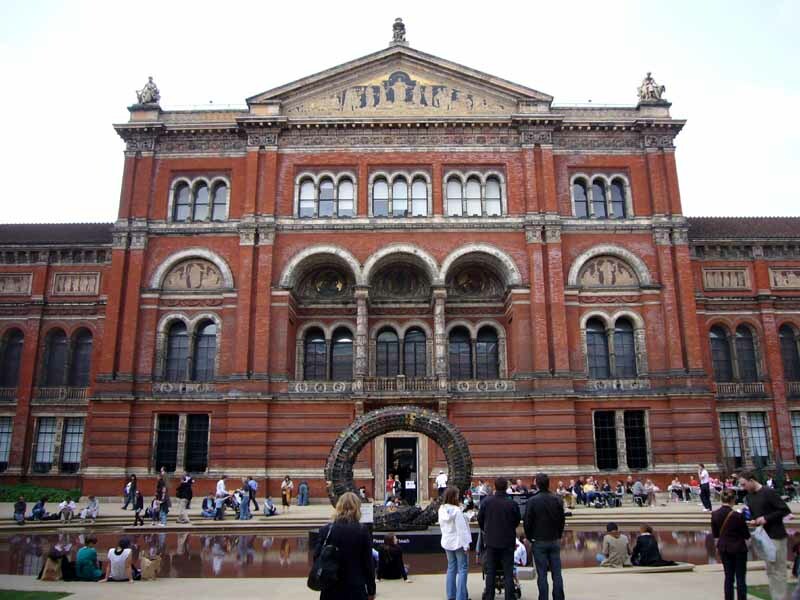 and tagged architecture, beauty, design, Frank Lloyd Wright, london, Victoria & Albert Museum by Susanne Freeborn. Bookmark the permalink.